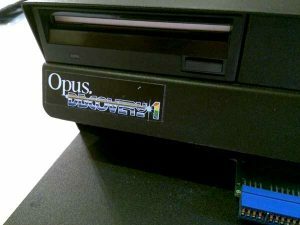 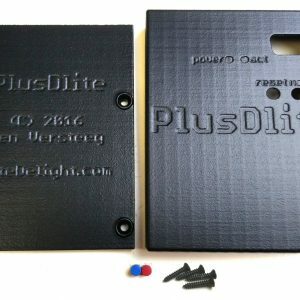 This is an upgrade kit for an Opus Discovery floppy disk system, which is an add-on made in 1985 for the ZX Spectrum (read more about the Opus Discovery here). 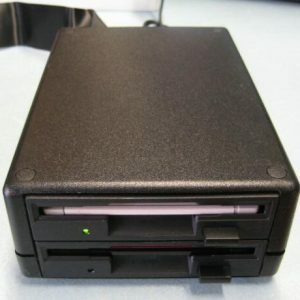 When you want to use another drive than the default SSSD (Single Sided Single Density) drive, you will need the 6116 RAM chip. This is where the Opus Discovery system stores the drive and floppy format parameters. 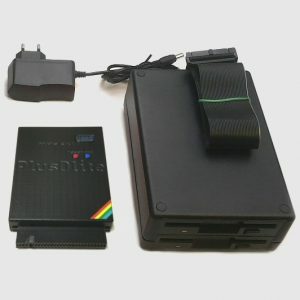 When you want to use a ZX Spectrum 128K or ZX Spectrum +2, you need ROM version 2.22 or higher. 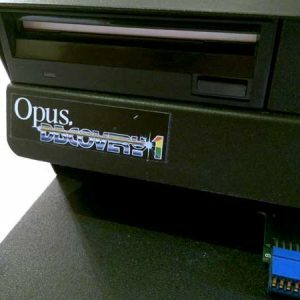 This QuickDOS ROM also speeds up reading and writing!